The Bottom Line: IS THERE A WOLF AMONG THE SHEEP? Thompson's claim that he understands the Islamist jihadist threat to America may be just that, nothing more that a claim. 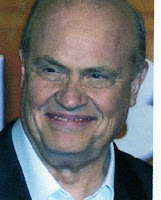 He hasn't entered the Presidential race yet, but recently Fred Thompson, showed us why he is the scariest Republican Presidential candidate. Moreover, he may be the scariest of both parties. His announcement, of his choice of Spencer Abraham as campaign manager, told us everything we need to know. Although Abraham, of Lebanese descent, claims to be a Christian, he is a career water carrier for Islamic terrorists. His failed, one-term Senate career and equally lousy tenure as Energy Secretary reveals his connections to America’s dreaded enemy. Thompson's choice of Edward Spencer Abraham was the final nail in the coffin for me in opposing Fred Thompson's quest for the White House. The Spencer Abraham that all of America has experienced is bad news for everyone except CAIR, ADC, MPAC, ISNA, and all Islamists who want to endanger America. After Abraham was Energy Secretary, he left to become a lobbyist for Islam . As a Senator, he took marching orders from James Zogby of the pan-Islamist Arab American Institute, a terrorist supporting organization, opposing profiling of Arabs, the use of secret evidence against Muslims (at the behest of Muslim groups), attempting to repeal the Clinton counterterrorism package, refusing to fund computer tracking of student and other foreign aliens, giving millions in our tax money right to Hezbollah, and putting CAIR, a known terrorist support group, on the map on Capitol Hill (taking the group's officials around to meet other Senators and Members of Congress). He took campaign contributions from the relatives of Hezbollah-backed top Lebanese officials after he got the group millions in our tax money. Spencer was one of only two Senators in the entire U.S. Senate who refused to sign a letter calling on President Clinton to condemn Palestinian terrorism and Yasser Arafat. This was at the height of a series of homicide bombings in Israel in 1999 and 2000. As Energy Secretary, he gave top-secret tours of nuclear facilities, as well as detailed information on how we secure them to Muslim nations who are our enemies. Moreover, he gave out undue post-9/11 awards to Al-Qaeda money-launderers . . . at the White House. U.S. Customs Service agents raided the money launderers. After he left the Bush cabinet, Spence became a lobbyist for Mid-Eastern Muslim countries that practice the Arab boycott of Israel and do not really like us too much either. He took their money and until the Thompson race, did their bidding.Can one really support a guy like Fred Thompson, who picked this man to head up his team? Either Thompson is clueless about Abraham, which should immediately disqualify him for the White House and reveal to all of us about how he makes decisions. Or, on the other hand, if he knows about Abraham, and went with him anyway. Just as bad. In 2000, President Bush said his Cabinet would "look like America," nominating Abraham, the defeated Lebanese-American Senator from Michigan, to Energy Secretary--part of Bush’s politically correct strategy for targeting the Arab vote.However, was this political strategy in the best interest of the country? Abraham's record suggests otherwise. In addition, since 9/11, Abraham unbelievably continued the controversial UN-sponsored program allowing foreign visitors from countries on the State Department terrorist list to tour U.S. nuclear reactors. This was a course sponsored by the UN International Atomic Energy Agency, taught by U.S. nuclear weapons lab security personnel. It gives tours of Nuclear Regulatory Commission facilities and teaches participants from 57 countries--including Iran, Iraq, and Saudi Arabia--security techniques employed at American nuclear sites. "They were teaching them to black out systems, which they could use against us at labs," an official told a popular news site. Investigative research reporter Paul Sperry, author of "Infiltration." reported on this extensively. Infiltration is an excellent book about Islam’s (so far successful) plans to take control of the U.S. from the inside and how wars like Iraq, and Afghanistan as well as the coming war with Iran, may just be a diversion (something the Muslims are good at) for the real war against the west called Infiltration. So far, this has been very successful in Europe. The Clinton Administration taught the course to foreign representatives, as well. However, that was pre-9/11. In the post-9/11 era, Abraham irresponsibly continued this practice, despite protests. Then there is Jamal Barzinji. Abraham enlisted him to find parties who helped and reached out to Muslims after 9/11, with Abraham hosting an awards ceremony for them. Problem is, Barzinji is an officer and/or director in SAFA Trust, Mar-Jac Poultry, and International Institute for Islamic Thought, all raided by Customs in March 2002 for laundering over $1.7 billion to Al-Qaeda and Islamic Jihad (through University of South Florida terrorist professor and Islamic Jihad founder and front-man, Sami Al-Arian). Edward Spencer Abraham is up to his preverbal prayer rug in supporting terrorist organizations. What is difficult to understand is why this guy isn’t vacationing in club Gitmo? More troubling is Abraham's Senate record, ignored by his former Senate colleagues in an easy confirmation hearing. Should a Senator who deliberately endangered national security just to get Arab/Muslim votes and campaign money be entrusted to oversee U.S. energy policy and access? Abraham's frightening national security record included Liberal immigration policy, including lax foreign visitor tracking, at the behest of Arab/Muslim groups; Tried to End Profiling, Secret Evidence Use Against Terrorists. Abraham was Senate Immigration Subcommittee Chairman through the end of 2000. Abraham routinely caved to the demands of Arab/Muslim leaders, such as the Arab American Institute's James Zogby, on national security matters, especially immigration. "Ever since (I first met) him, Abraham has been coming to us and giving advice, support and the benefits of his leadership," Zogby told The Detroit News. Taking Zogby's advice: Abraham actively worked to delay computer systems to track foreign visitors, which Arab/Muslim groups, including Zogby's, strongly opposed. The 1996 immigration law required computerized entry and exit tracking of all temporary visas, but was gutted by Abraham and other legislators. They refused to allocate money for the program and delayed its full implementation until 2005. In 2000, Abraham, as Chairman of the Immigration Subcommittee, delayed implementation of other requirements of the 1996 immigration measure, including university-assisted enforcement of student visa laws and collection of fees from foreign students to pay for computer tracking. These programs might have prevented the Sept. 11 attacks. However, Abraham desperately craved the Arab/Muslim vote in Michigan. As crazy, as it may sound one cannot help but recognize that the U.S. Government may be hopelessly infiltrated with Islamic influence, to the point that we are supporting our own enemy. Moreover, if Fred and his treasonous Islam terrorist supporters get into the White House, well… you may have to fire your barber and buy a prayer rug. Foreign aid funding for Hezbollah, rewarded by pseudo-foreign campaign contributions: In July 2000, Abraham sought over $268 million in tax-funded US AID grants for Hezbollah terrorist-controlled Southern Lebanon at Arab American Institute's Zogby's request. The Iranian- and Syrian-backed Hezbollah Terrorist organization has targeted and murdered many Americans. Millions in similar US AID grants (which have scant strings and accountability attached) to Afghanistan were misspent on Taliban terrorist activities. Abraham enlisted Michigan Republican Congressman Joe Knollenberg, on the House International Relations Committee, to push the questionable aid package in the House. They ended up obtaining $86 million, which went straight to Hezbollah and which was not tracked thereafter. They knew this, and that is why Spencer and Zogby sought the money for their Hezbollah friends. Abraham and Knollenberg were repaid for their efforts, receiving thousands in campaign contributions from Nijad Fares, the Houston-based green card-holding son of Syrian-backed Lebanese Deputy Prime Minister Issam Fares. Soft on terrorismAbraham was one of only two U.S. Senators who refused to sign an October 2000 letter to President Clinton condemning terrorist acts by Yasser Arafat and the P.L.O.Abraham led the nearly successful June 2001 attempt to reverse the use of classified evidence against terrorists, sponsoring the legislation at the behest of Islamist groups, including the American Muslim Association (AMA) and the American Muslim Political Coordination Council (AMPCC), both headed by Agha Saeed.In July 1999, Abraham wrote to Saeed, AMA, and AMPCC asking their support: "Your efforts are truly needed in the political arena. . . . You can truly make a difference in the political and policy arenas, and I remain committed to helping you achieve that goal." THE BOTTOM LINE: Given Edward Spencer Abraham's record of illegal activates and support of Islamic terrorist interests on virtually every national security issue, as well as his hegemony of American Energy is disturbing. He should control no form of power, political or electric. Moreover if Fred Thompson is either incapable of proper discernment, or, he advocates this kind of behavior in government, it is certain that he is not good for America. Personally, I see this as just part of the surreptitious and incremental infiltration of Islam into the U.S. Federal Government. Whether we when the war in the Middle East or not, our blind ignorance will surly lose us this silent war here a home.